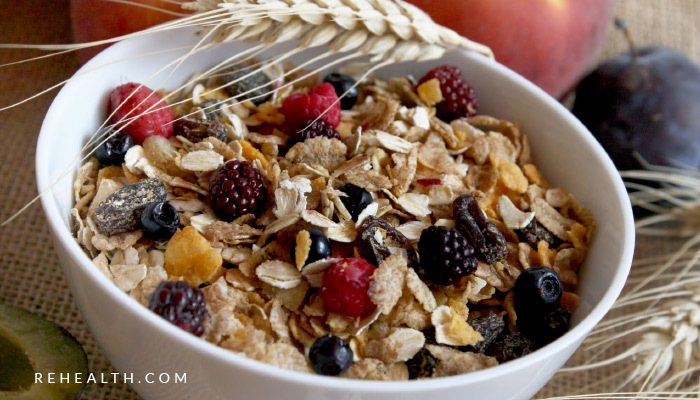 Besides helping your digestion, improving your bowel movements, and being key to feeling lighter, fiber has been found to be a game changer when it comes to preventing diseases and ailments. According to a recent study from the World Health Organization, people with a higher fiber intake live longer and avoid diseases such as coronary heart disease, stroke, type 2 diabetes, and colorectal cancer. Researchers have found that 25-30 grams of fiber is enough to keep your gut at its best. Unfortunately, the average American adult consumes half the recommended amount (15-17 grams of fiber) which is why, constipations, low bowel movements, and other gastrointestinal diseases are so common these days. We understand that eating clean and healthy can be challenging for people on the go, so today we want to give you simple tips to add fiber to your diet without taking unnecessary supplements. 1.- Eat 3 fruits a day: A simple tip as eating 3 fruits a day can become a key to increasing your fiber intake. Considering that a pear contains about 5.5 grams of fiber, by eating 3 fruits like apples, pears, or bananas you will be reaching half way of your daily recommended amount of fiber. If you don’t have time to carry the fruit around with you, you can make smoothies with all 3 fruits in it to make it even easier. 2.- Enjoy a cup of guac: Besides being extremely delicious and easy to make, guacamole can be highly beneficial for your health. The fat present in avocado is great for your skin, and heart, while the fiber present in a cup of it can be equivalent to 10 grams. So next time you order your meal make sure to add extra guac for your taste buds, and for the sake of your health. 3.- Ditch those chips: Snaking while watching Netflix doesn’t have to end up in a bad binge. 100 grams of chips contain 3.8 grams of fiber and 22 grams of fat. On the other hand, a bowl of homemade popcorn (about 3 cups) contains 4 grams of fiber and only 1.1 grams of fat. Simple choices can hugely change your health in the long run. 4.- Add oatmeal to your smoothies: As we mentioned above, having a smoothie for breakfast can be a great way to include more fiber to your diet easily. To increase the fiber intake you can add half a cup of raw oatmeal to your smoothie to increase your fiber consumption, decrease your cholesterol levels, add healthy carbs, and start off your day with tons of energy. 5.- Drink black coffee: Along with being delicious, aromatic, and morning must, coffee can be great if you are trying to incorporate more fiber into your diet. A new study shows that black coffee has soluble fiber, the same found in oatmeal and apples, that can help your digestion. Now, this does not mean that coffee can substitute veggies and fruits, but it can definitely help. A “grande” sized coffee has a total of 3 grams of fiber, that while is not a huge amount, it can definitely help you accomplish your daily goal of 30 grams. Making small changes in your diet can make a huge difference in your health in the long run. Remember, small steps can be great advancements when it comes to improving your well being and it’s all worth it.